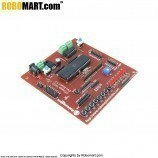 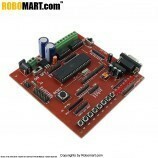 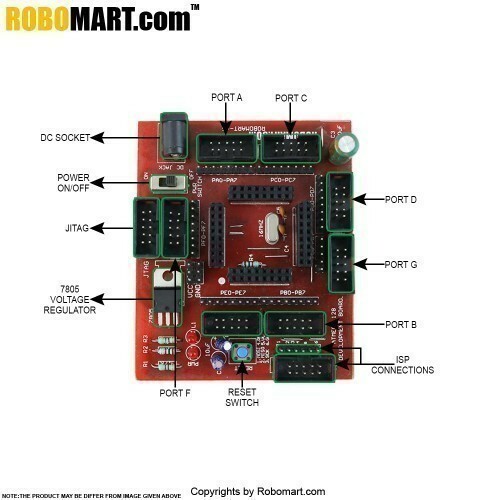 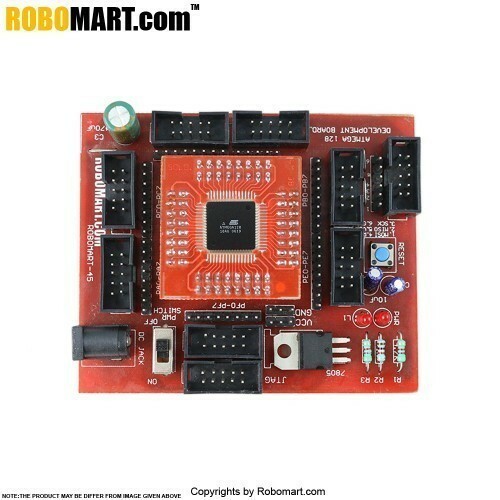 The ATMEGA128 Development Board is a powerful development platform based on ATMEGA128 microcontroller which is one of the most feature rich AVR microcontroller from Atmel, featuring 128K Flash, 4K RAM, 53 I/O lines arranged in seven 8 bit ports, 8 ADCs, 2 UARTs, 4 timers, 8 interrupts and much more. 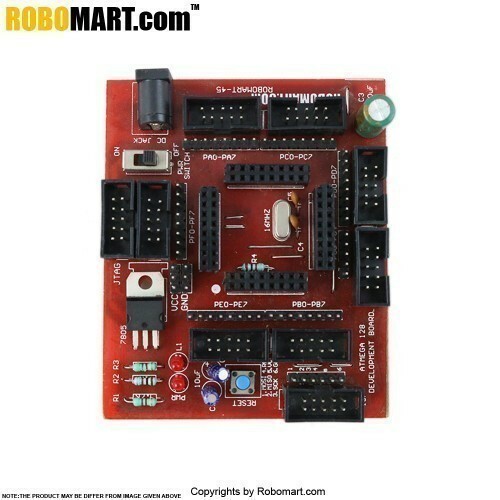 This board is ideal for developing embedded applications involving high speed wireless communication, USB based data logging, real time data monitoring and control, interactive control panels etc. 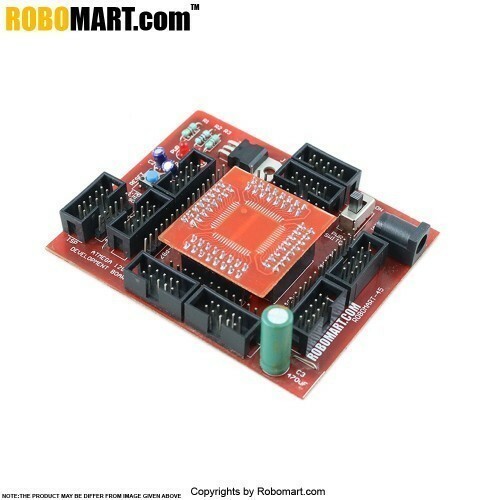 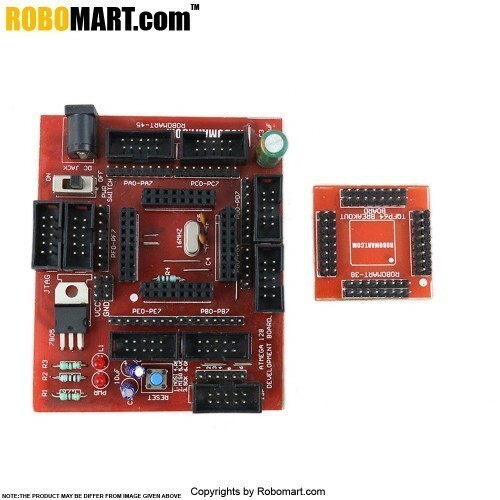 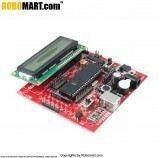 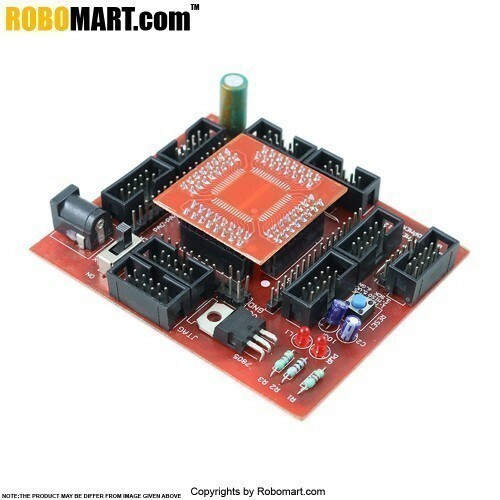 Also Searched as : atmega128 arduino, atmega128 development board, atmega128 microcontroller, avr atmega128, atmega128 price, atmega128 pinout, atmega128 board, atmega128 projects.